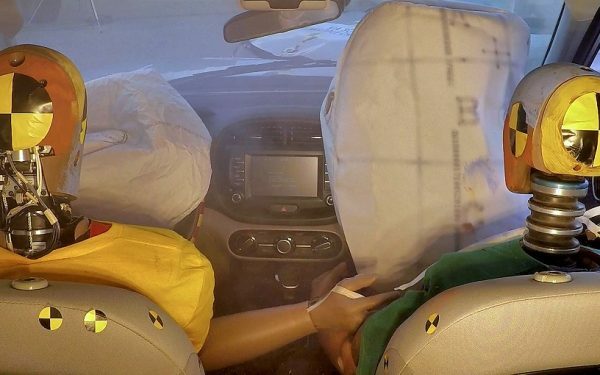 There’s no question that drunk driving is a bad idea. Despite this, people do it anyway and the results are never good. All sorts of official campaigns have been launched to get people to stop, but this unofficial effort in Japan might be the best. 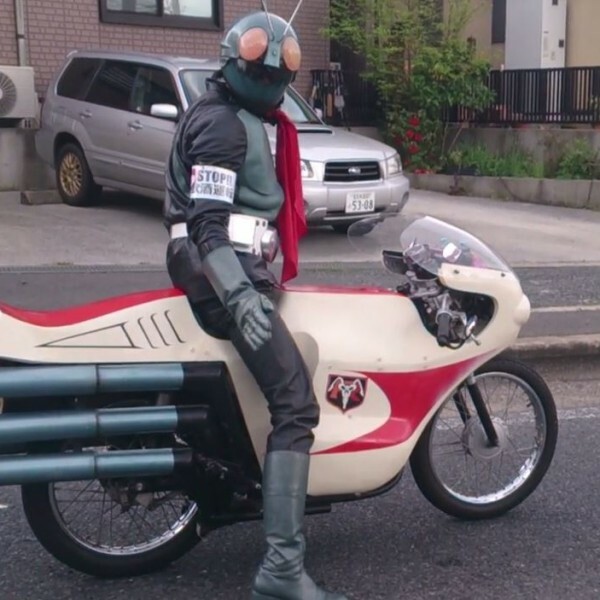 It features an ordinary guy dressed up to look like Kamen Rider as he drives his motorcycle through the streets of Japan. Kamen Rider might not be a character who is well-known in the United States, but he’s a very big deal in Japan. He comes from a classic 1970’s show that has seen spin-offs and even movies as recently as the last few years. Try imagining Adam West’s Batman rolling up next to you at a stoplight. It would definitely get your attention and that’s the whole point of this man’s effort. 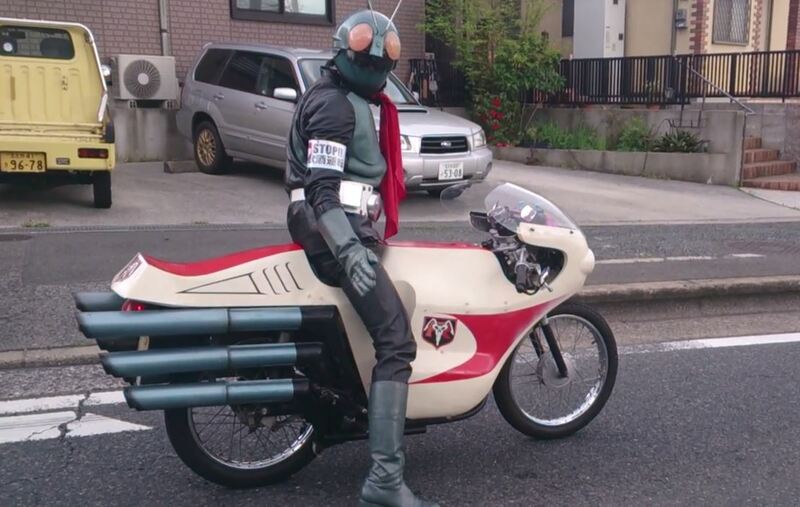 His mission has him driving around Fukuoka Prefecture, Japan drawing lots of attention for his costume and matching bike, but also for his armband. It reads “Stop Drunk Driving” in Japanese so every time someone sees him, he’s spreading this important message. Rumors say the man behind it all is an artist named Shinjiro Kumagaya who uses empty cans to build unique sculptures. He’s a far cry from a wealthy Bruce Wayne-type millionaire out keeping Japan’s streets safe when he’s not in the boardroom. Seems like he’s more the starving artist-type which might make this whole thing a bit of performance art, but it’s one with a lofty purpose. People have snapped pictures of Kamen Rider and posted them online, with one intrepid soul even catching some video. Not only is he attracting attention and supporting a worthy cause, he’s doing it in character. Whenever he stops, he strikes a pose right there on his bike in the middle of the road. Although it’s a fun idea, and very cool that he made not just a costume but the matching motorcycle, his message is serious. 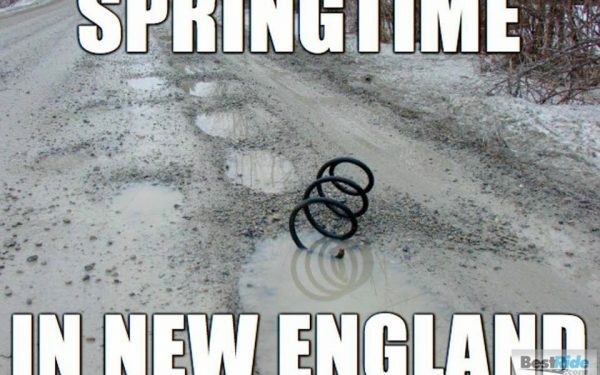 If you’ve had too much to drink, don’t get behind the wheel.